The AFC’s Conference on College Teaching and Learning provides a robust interdisciplinary forum for researchers, practitioners, and educators to present and discuss the most recent innovations, trends, and concerns, practical challenges encountered and the solutions adopted in the field of college teaching and learning that ensure student success. WORKSHOPS! 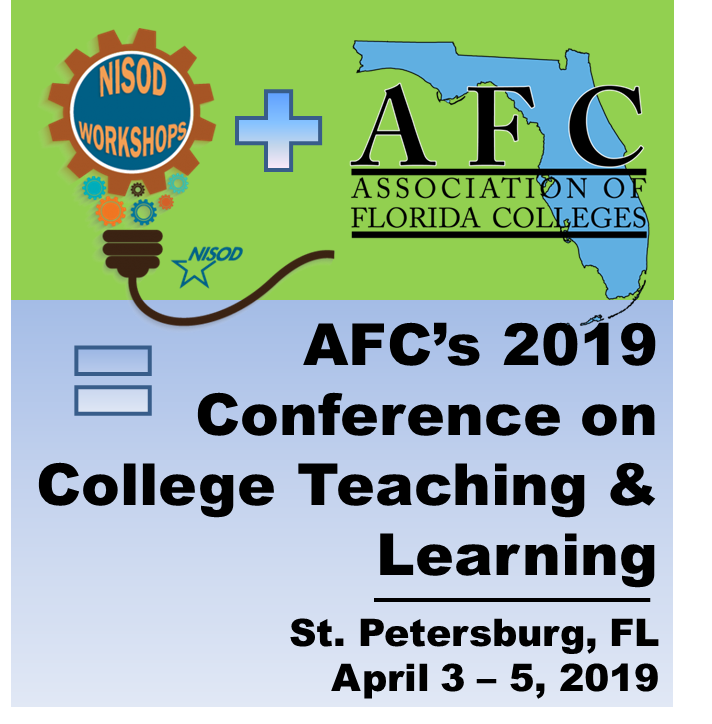 The National Institute for Staff and Organizational Development (NISOD) is partnering with the AFC to provide three of their most popular half-day workshops on April 4th at the conference. AWARDS! AWARDS! AWARDS! Celebrate teaching excellence with us as we award $5,500 in cash prizes to two outstanding faculty members and a successful teaching and learning center. In addition to these awards, the Faculty Commission will be joining the Conference on College Teaching and Learning to offer presentations for its 2019 Professor of the Year (POY) competition. After presenting, the finalists will be judged and the winner announced and awarded a cash prize at the closing Awards Luncheon. For more information about the 2019 POY competition contact: Lori Bufka, [email protected].